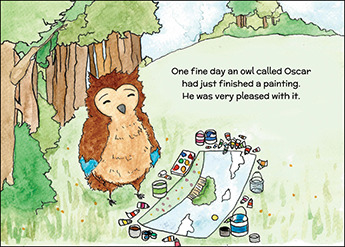 Oscar is an owl of many talents, including painting. 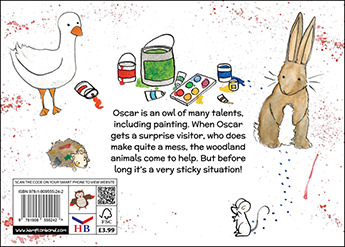 When Oscar gets a surprise visitor, who does make quite a mess, the woodland animals come to help. But before long it's a very sticky situation! Every parent wants their child to have a vivid imagination. And Oscar’s Painting certainly helps the imagination grow whilst telling a delightful little tale. 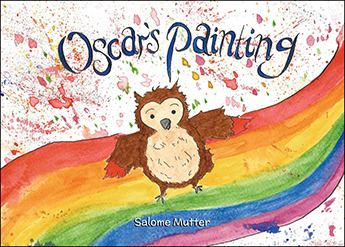 Salome Mutter has successfully created a wonderful picture storybook which not only has beautiful hand drawn illustrations on each page, but she has once again managed to convey an important message in a short story. 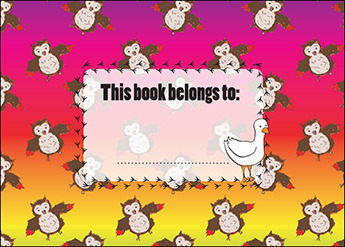 A book that every parent will want their child to have.